Today I received (fast/safe shipping) one of their mahogany burners that is 11 1/4 inches long by almost 2 inches wide. Beautifully carved and stained as I see no flaws. I was told that this incense holder would put out any of my sticks at the length I chose by sliding the block (easy to slide). I decided to give this burner a run for its money (I was a little ify) and used a powerful incense to see if it could really put out my incense (Nature Nature was my choice). I followed the directions that are given with the burner as they are very easy to follow and watched as the burn got closer and closer to the block. As it entered the block I was amazed that it actually started to back flow within and put out in incense within minutes. It was amazing to watch the smoke go forwards and backwards doing what it was designed to do. Now mind you I used Nature Nature which can restart its self because of the resin on the stick (they are thick)..... well this Amazing Incense Burner did its job!! I'm impressed not only by the website but customer service and an incense holder that actually puts out the burn with its sliding block feature. Goes to show it passed the test! As of now if you would like to purchase this Incense Burner please see contact information below (I might bring this product to the website in the future). 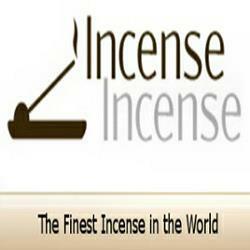 If you happen to purchase a holder from Zensense tell them that you saw the review on Incense-Incense Blogger/Facebook. Once you purchase one of their holders and can confirm with an order number hit me up and I will be happy to send you some free samples (incense) in the mail!! !